There's a vast array of great Zelda sites to visit and I do my best to keep on top of the ever-changing community. There really is something for everyone - from sites with extensive game guides, large collections of media, the latest news, humour, discussion and even specialist sites focusing on things like Hyrule's languages. Sites are listed below under category then alphabetical order for easy browsing. Whether it's a small fledgling site or a long-standing giant, I welcome links to all Zelda sites to be added to this page. Simply drop me an email to juliet@northcastle.co.uk along with your site banner/button. If you don't have one I'll be happy to create one for you. All I ask is that you link back to North Castle somewhere on your website. Through linking to my site it helps us to get more visitors and therefore more fan submissions. North Castle is open to affiliation with other sites - as well as a prominent link on this page your site button will also be displayed on my main index page. I require as a minimum that you at least have an active, fan friendly website and that in return you place a text or button link to North Castle on your homepage. If you're interested in affiliation please email your details to juliet@northcastle.co.uk with the reason for wanting to affiliate. This is my site's 468x60 standard banner. NC's sister site is for those who prefer the darker side of Zelda. encycopaedia and compedium, plus great fan content. Extensive official image archives along with lots of doujinshi and manga. updates of many specialist Zelda sites. with lots of information on the games and huge messageboard community. lots of media, huge forums and extensive news coverage. Focused mainly on the Captain N cartoon, with a small Zelda cartoon section. An easy, legal way to enjoy all the classic games of the past - including Zelda! Great looking site with all the Zelda humour you could ask for and. Absolutely hilarious. You have to see it to believe it. Bloody brilliant! 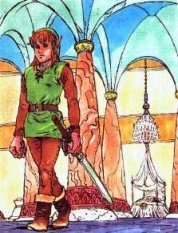 A place to read and post your own and others Zelda fanfictions. mythos thanks to The Bombers - be sure to visit! Home of an amazing animated series about Zelda created by SpikerMan. Zelda themed crafts, recipes and more! ZREO has all the best fan tracks and more. own character and adventure in the wolrd of Hyrule. to, masterminded and run by many sites in the Zelda community. great downloads and fanwork. Excent font downloads too. Now mainly a forum but the HTLOZ old archives are here so worth a look. Friendly forums who are hoping to expand into a site also. great stuff like sheet music, guitar tabs and papercraft. and articles plus a big media section. A new site with great content on all of the games, quizzes and articles. Longstanding, massive site with loads of fanwork and features. The Ocarina of a Link to the Awakening of Time' amonst other crazy things! even eartips! Plus a massive collection of all kinds of costumes from TV, history etc. to ensure your writing is up to scratch. Home of the amazing Zelda fan artist plus her beautiful original work. This page was created by Juliet A. Singleton © 1998-2012. All rights reserved.